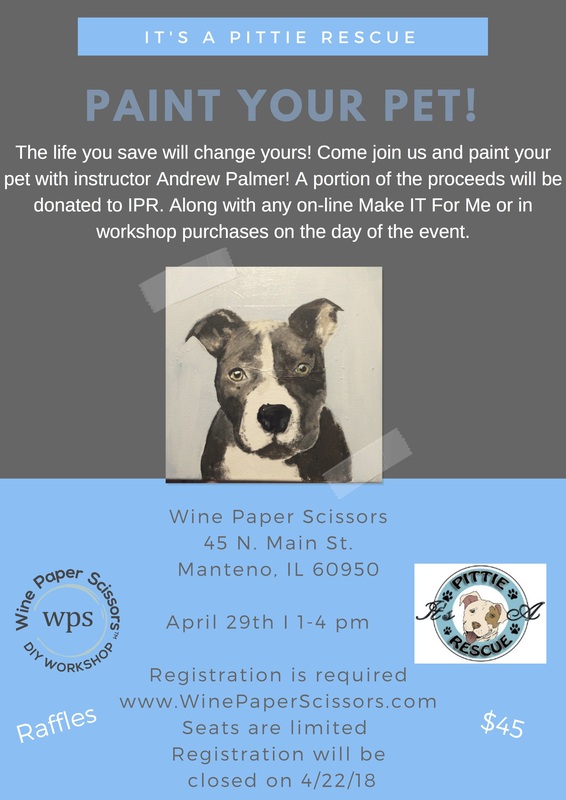 Join It’s A Pittie Rescue at ‘Wine Paper Scissors’ and paint your pet with instructor Andrew Palmer! 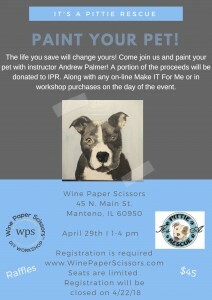 A portion of the proceeds will be donation to It’s A Pittie Rescue. Along with any on-line Make IT For Me or in workshop purchases on the day of the event. We will also have a fun Raffle so be sure to bring some cash.